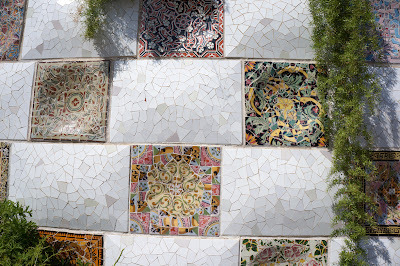 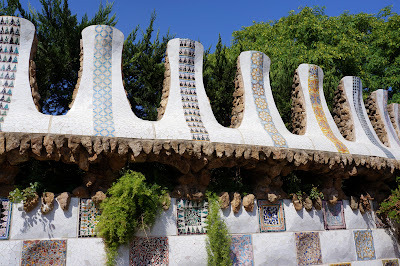 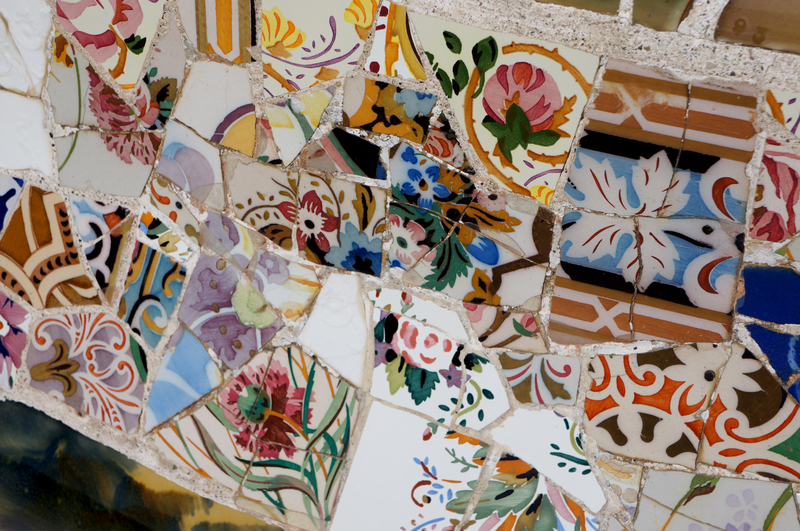 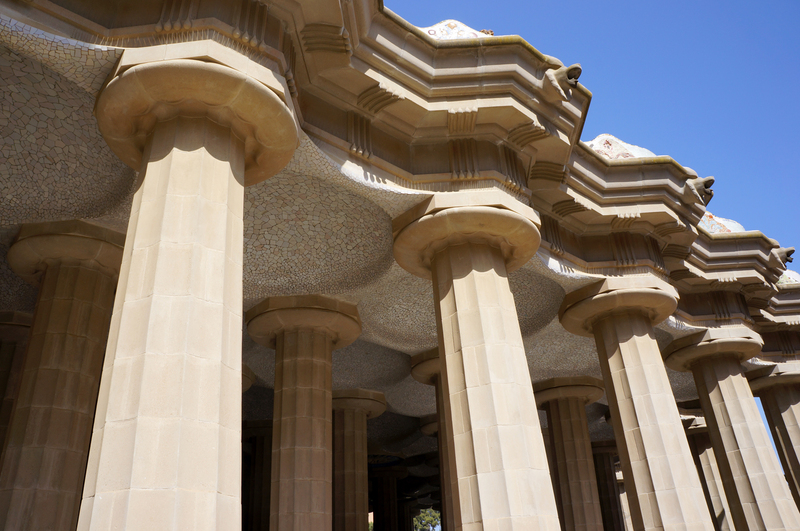 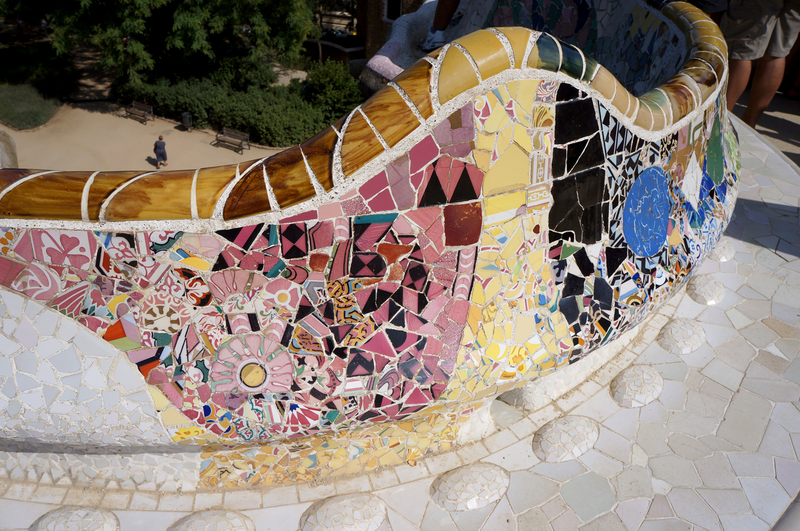 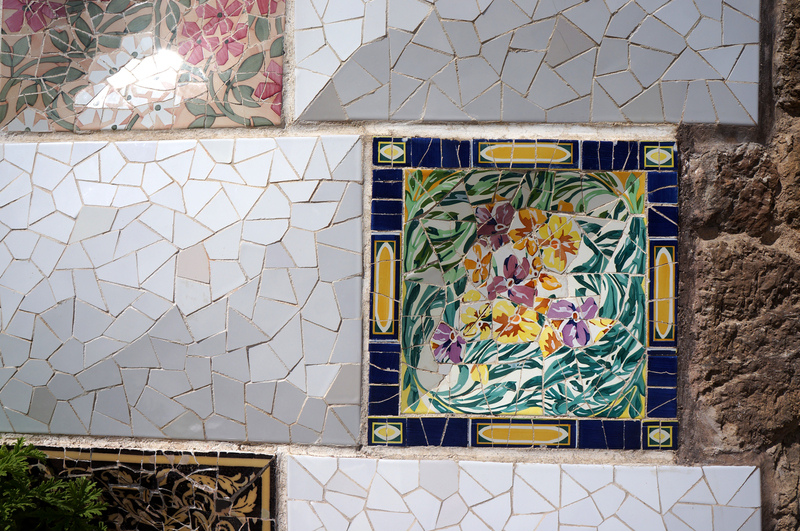 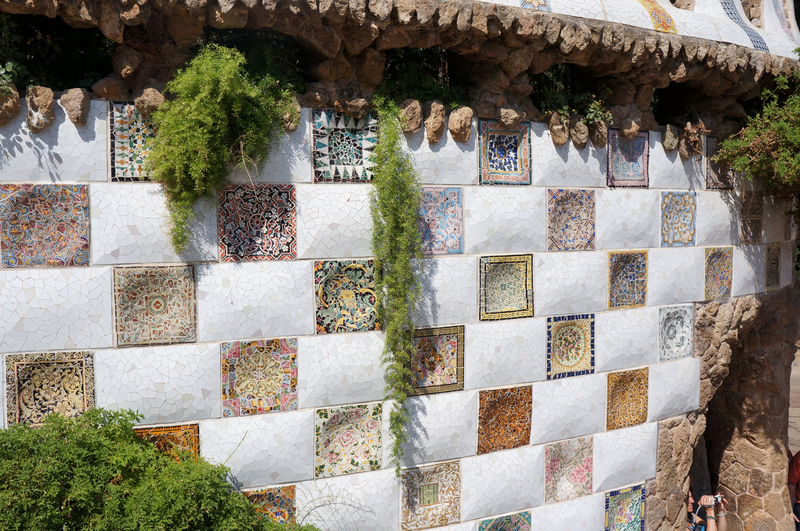 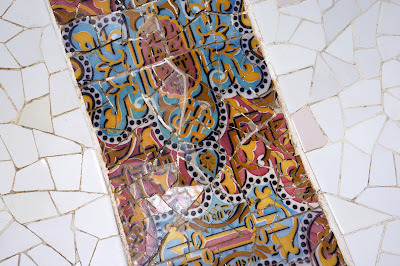 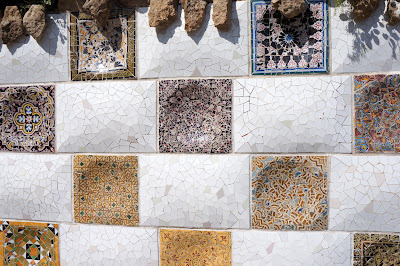 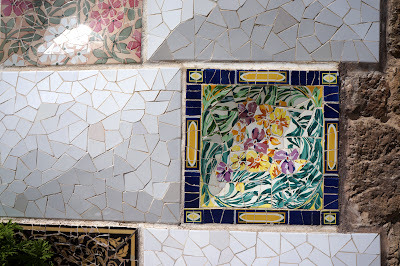 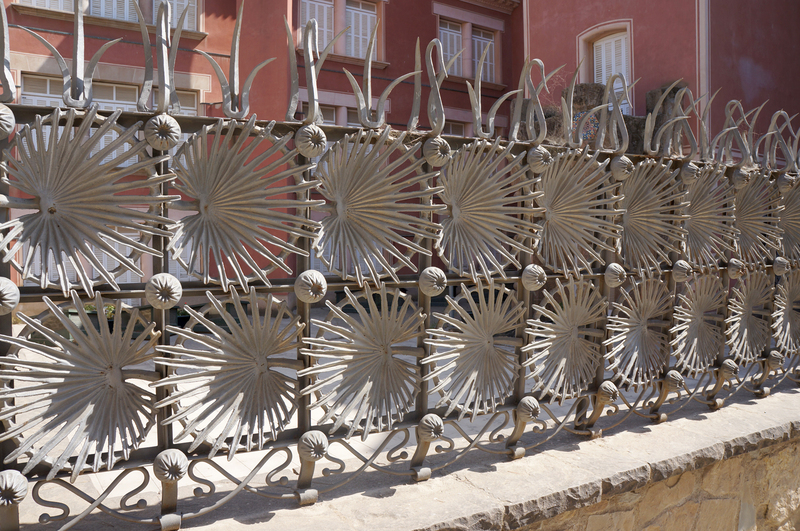 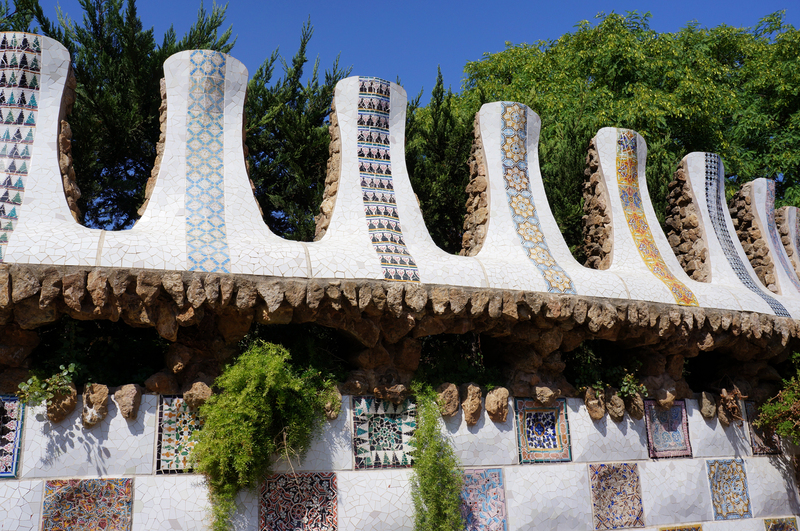 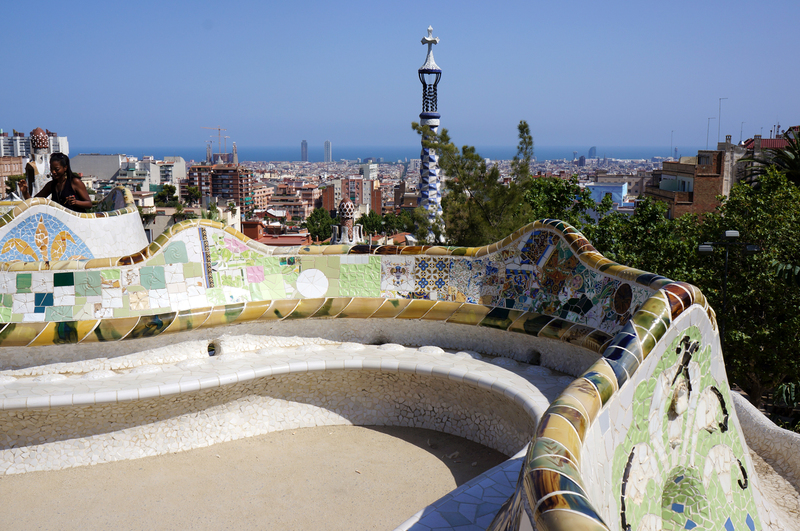 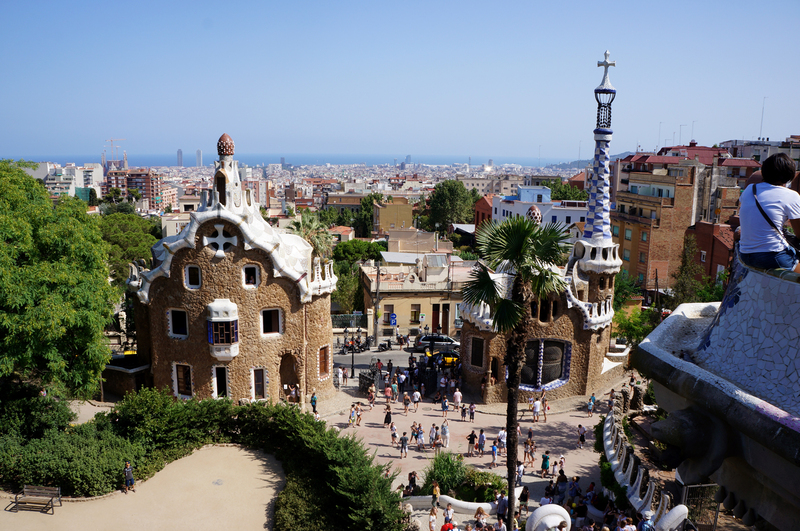 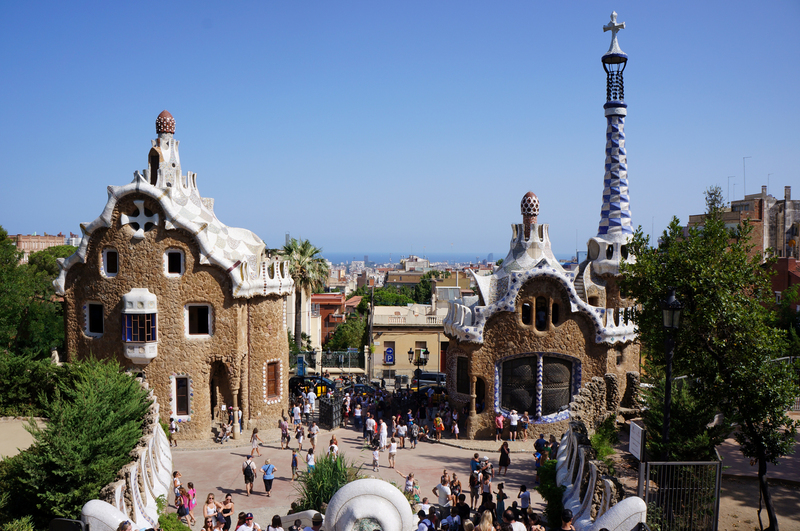 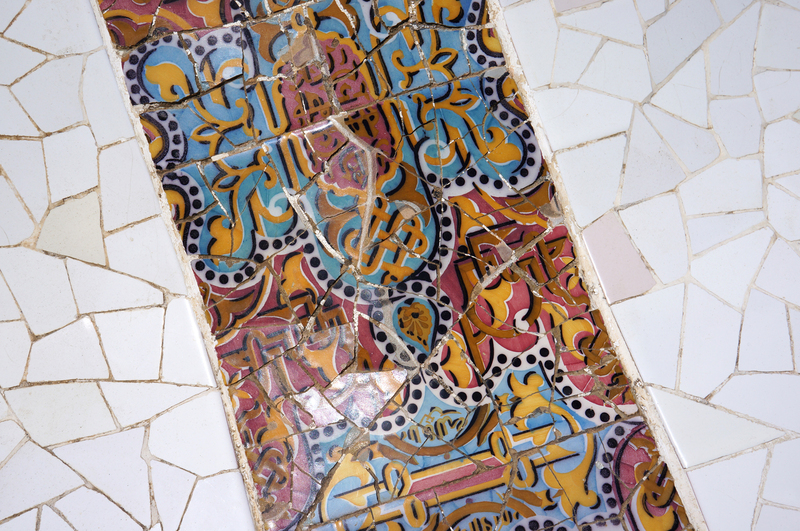 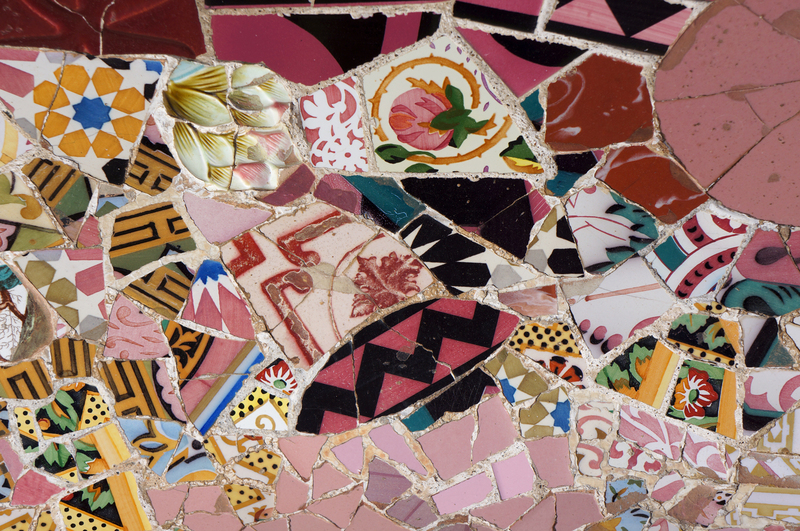 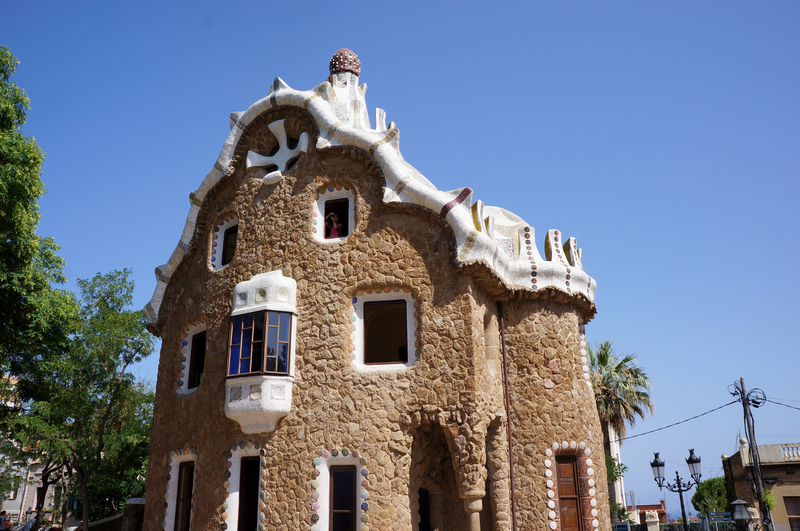 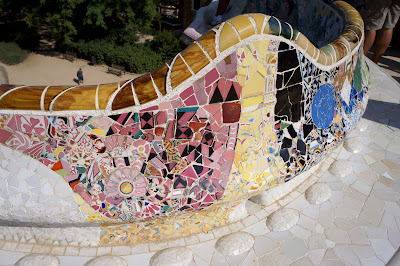 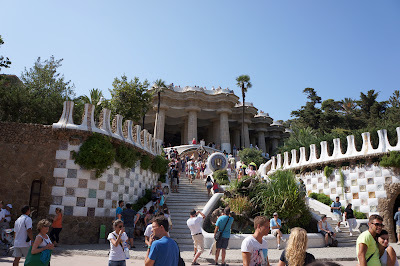 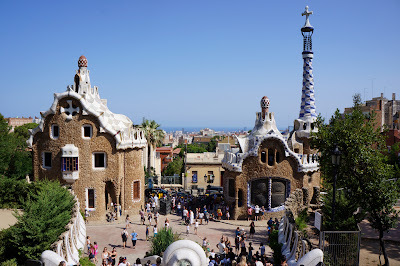 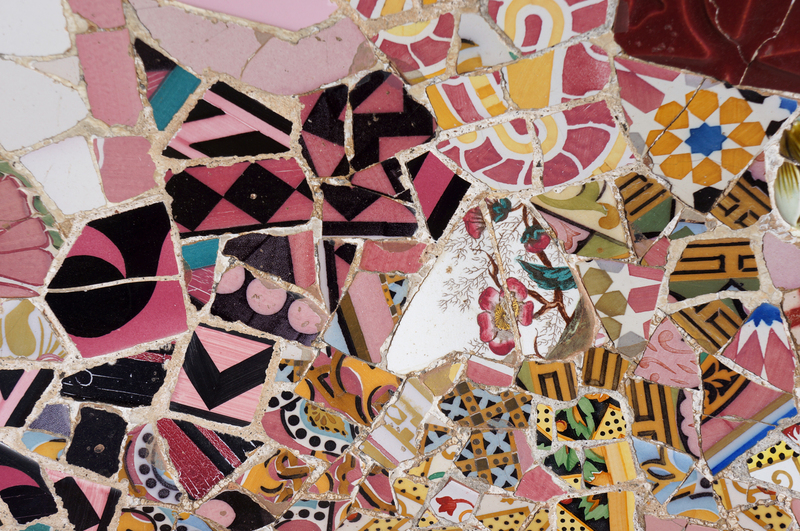 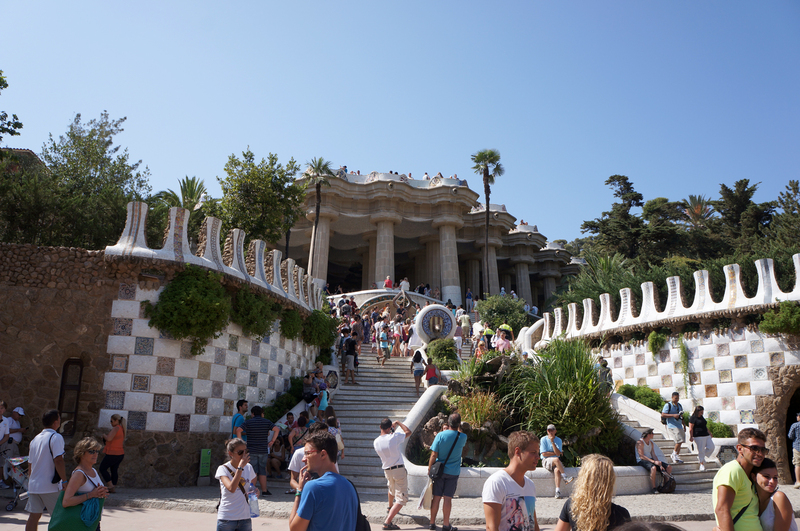 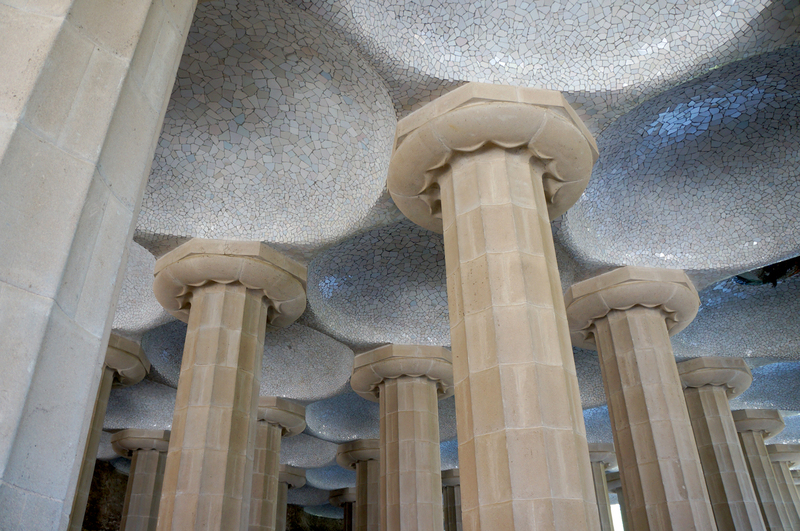 No trip to Barcelona is complete without visiting Parc Güell. The mosaic tile work is fantastic, the structure is almost fairy-tale and the views from the lookout are brilliant. 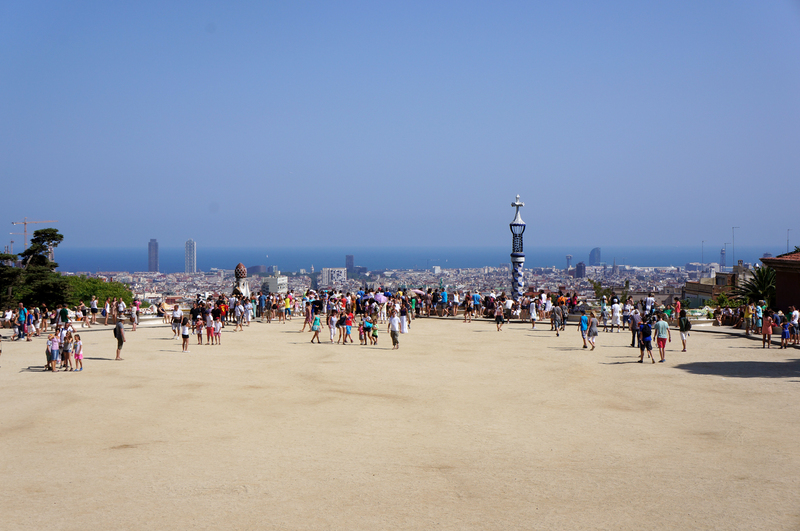 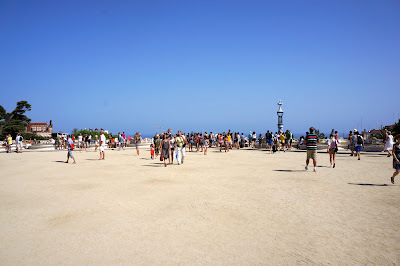 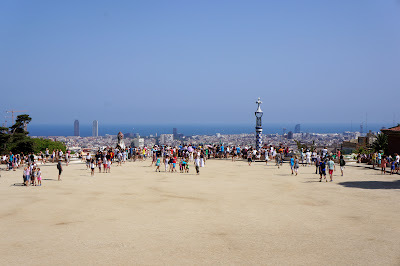 Tourists looking out over the edge towards to sea enjoying panoramic views of Barcelona. 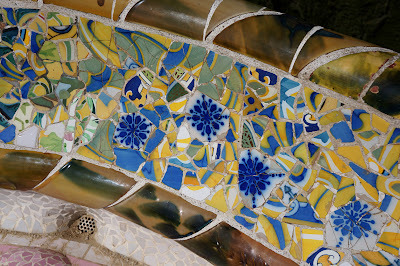 The serpent-like perimeter mosaic seating.